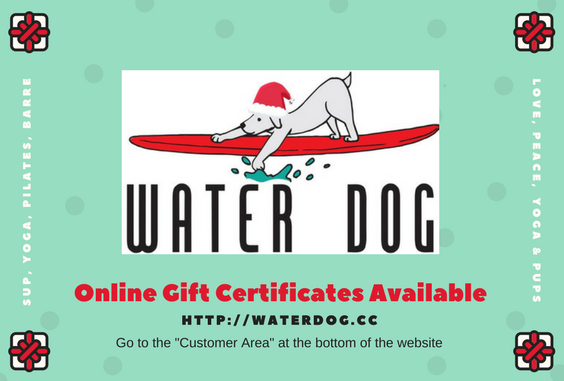 Getting a gift certificate from Water Dog is easy! They are available to purchase in the Customer Area of our website. You can customize it with your own message and print it out or send it electronically to the recipient. 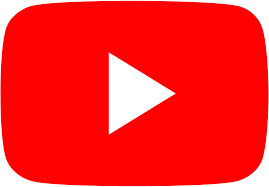 You can purchase a certificate for a single class or for $50, $100 or $200, and the recipient can use it to buy one of our memberships! 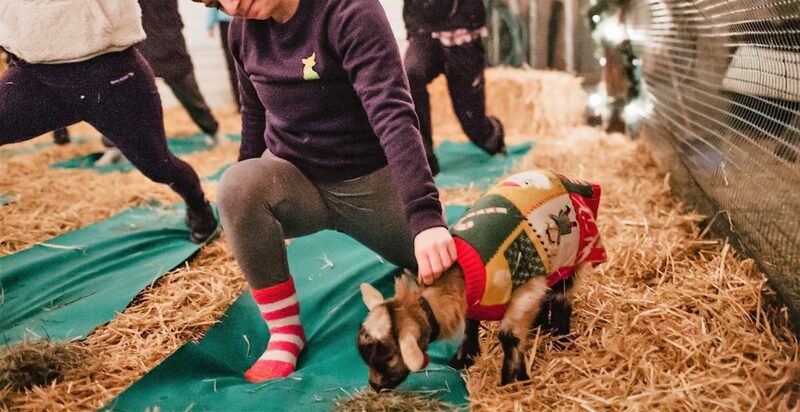 This special Holiday Baby Goat Yoga event is in partnership with a local “micro farm” in Sinton, TX. 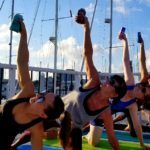 The yoga portion of the event will be family-friendly and about an hour long. Afterwards, you will have time to hang out at the farm, see baby bunnies and enjoy complimentary refreshments, including hot cocoa, tea, coffee & homemade yogurt! Additional homemade farm products, including goat soaps and jellies will be available to purchase as well! **Extra mats will be available, but brings yours with a towel that you don’t mind getting dirty! 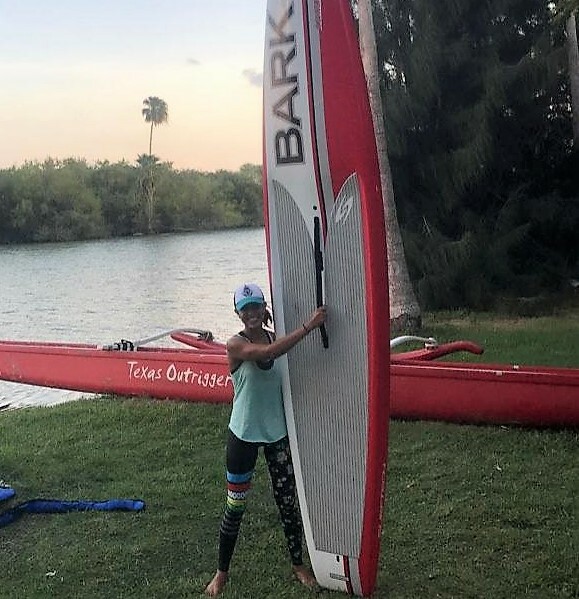 Have you been anxious to try SUP Yoga and fitness, afraid to fall in the water? 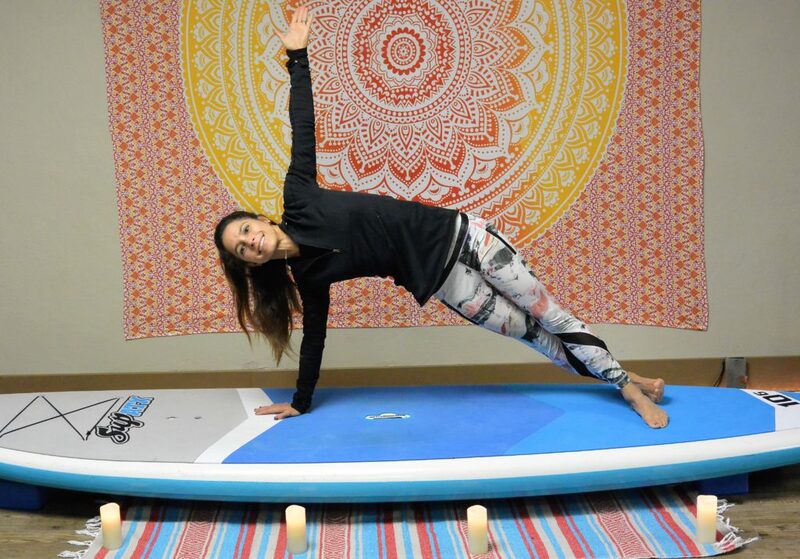 Wanting to build your balance and core strength to take your practice to the next level? 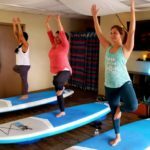 We will bring a limited number of our SUP Fitness boards to Mesquite Street Studio for indoor SUP yoga/fitness workshops this winter. 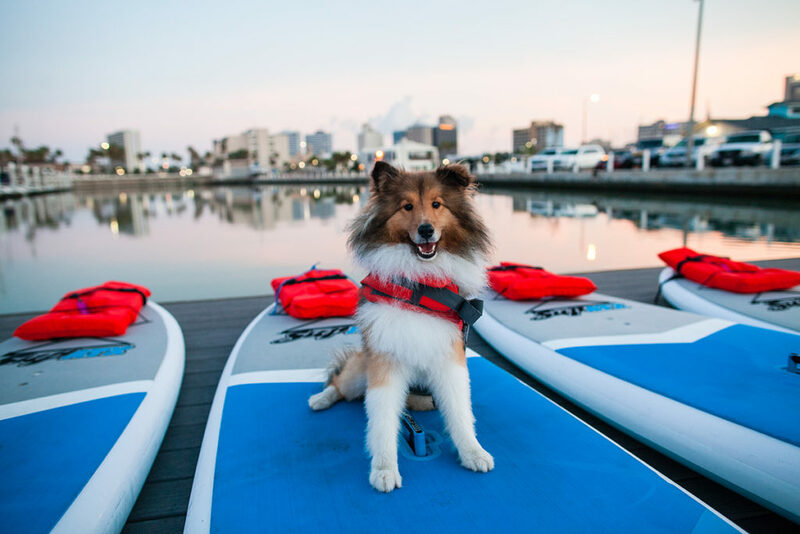 We will use balance/stability cushions under the boards to simulate the feeling of being on the water on an unstable surface, while removing the fear of actually falling in the water! Stayed tuned for more details! 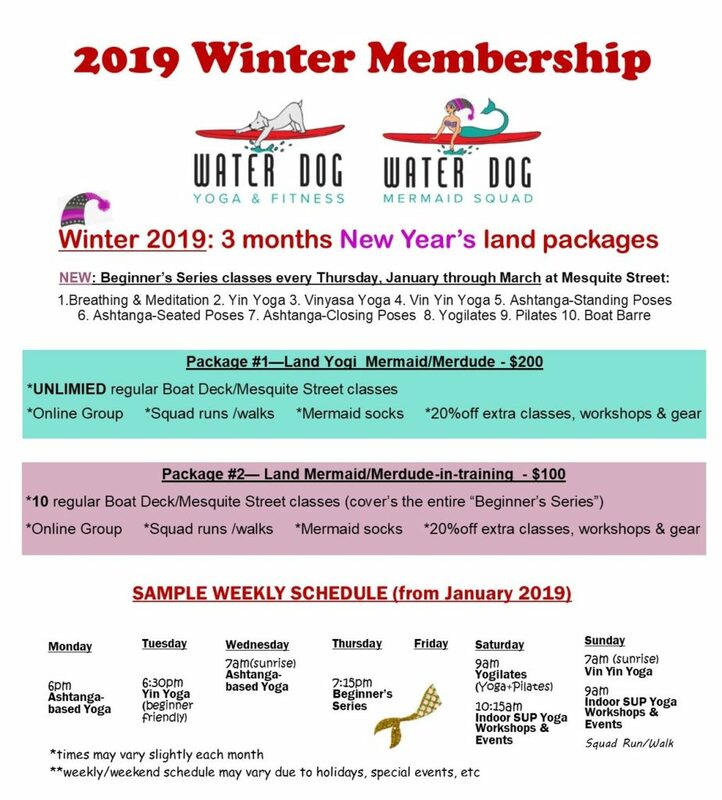 During the winter season we will feature Beginners Series classes at Water Dog. 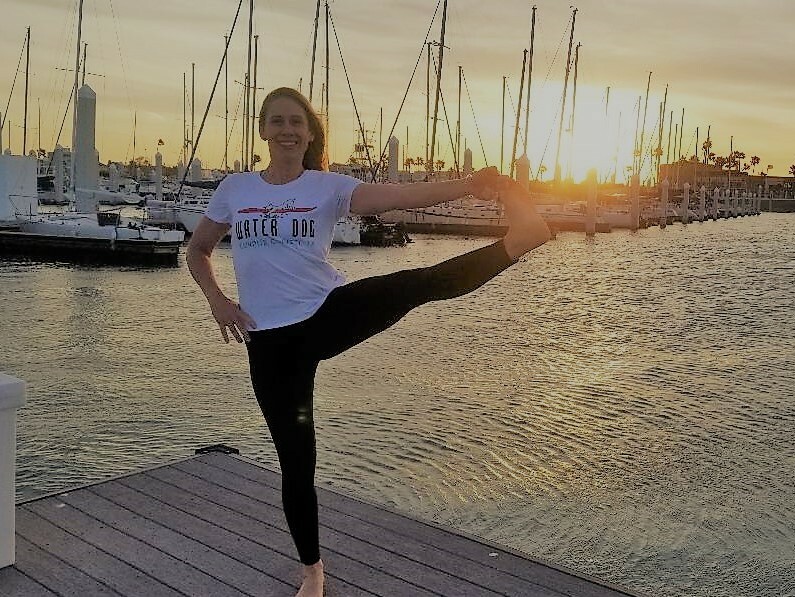 No experience is necessary, come wherever you are in your yoga/fitness journey and work on learning and improving. These classes are an hour long they will focus on the basics and fundamentals. Beginner’s Series classes will be held every Thursday at 7:15pm from January through March at our Mesquite Street Studio Downtown. 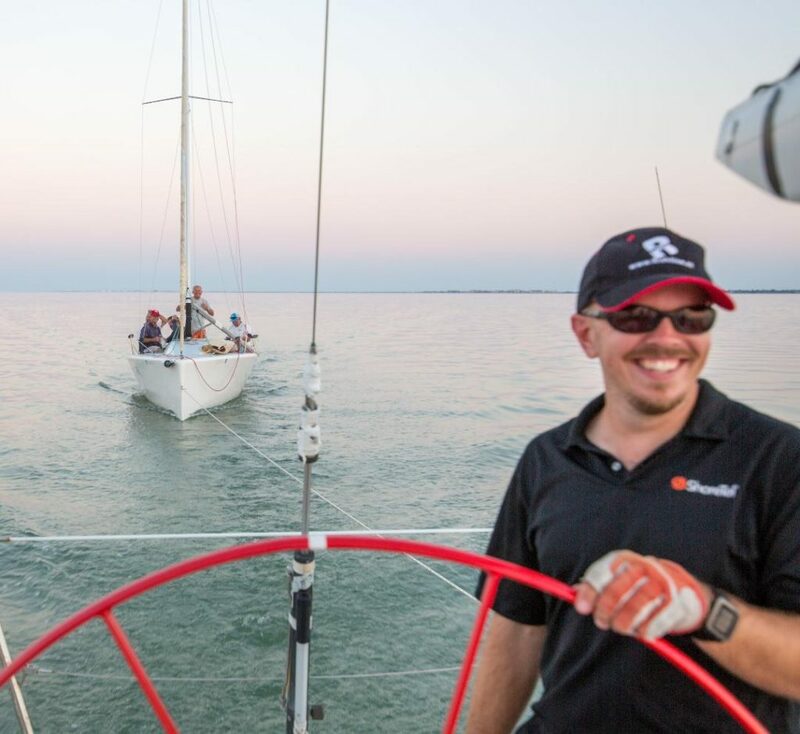 For a more detailed description of our classes, check out the CLASSES tab on our website. What are the terms of the Winter 2018 Mermaid Squad memberships? Our Membership packages must be paid in full up front. The classes in the package are good for 3 months from when you purchase the package or 3 months from the first January class if you purchase the package early. You must still register online for each class. You will be given credit depending on which package option you choose. 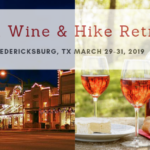 Spots are still limited for the deck and Mesquite Street. Sign-ups are on a first come, first serve basis. 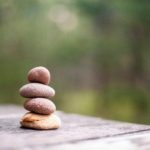 What if I want more classes than are in my membership or what if I want to book Special Events and Workshops that are not included in my membership? 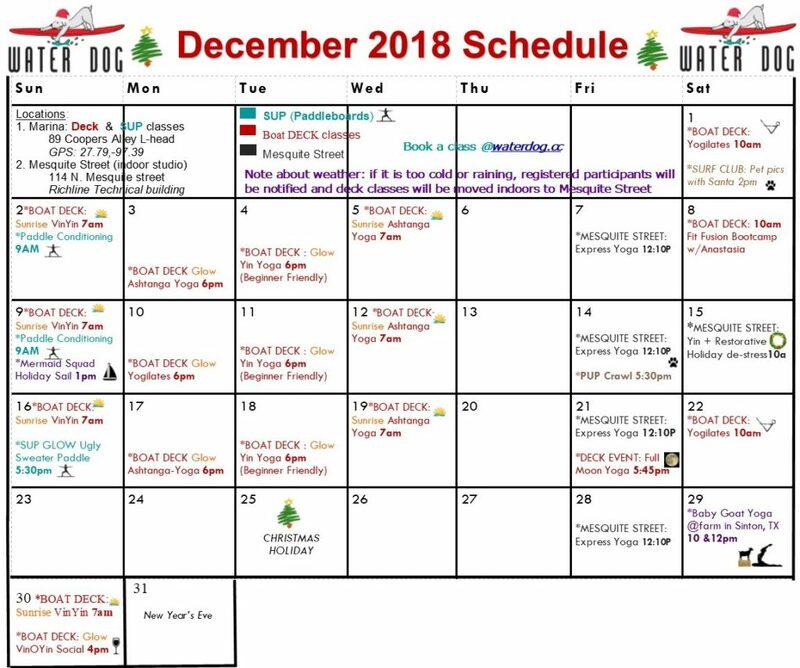 As a member you will get a 20% discount on all additional classes and workshops including Indoor SUP Yoga Workshops and special events like Full Moon Yoga. 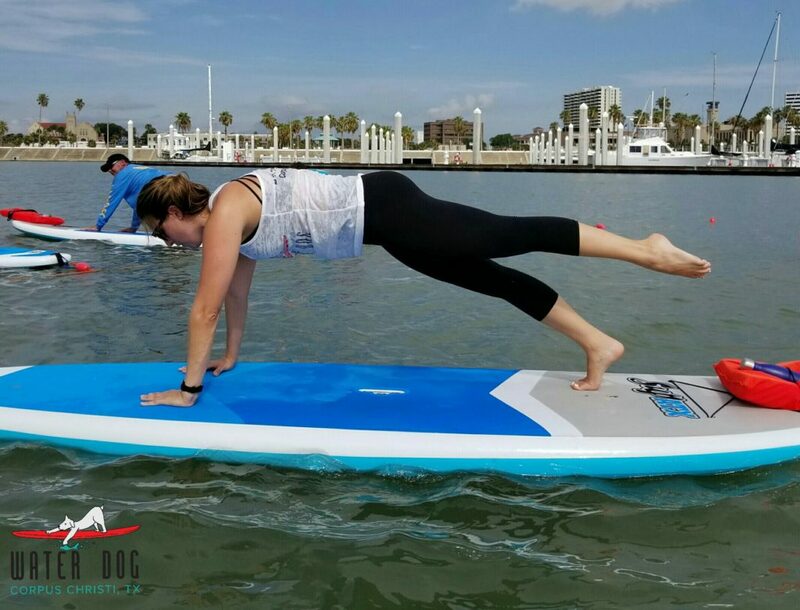 You will also receive 20% off all Water Dog gear like tanks, shirts and water bottles!